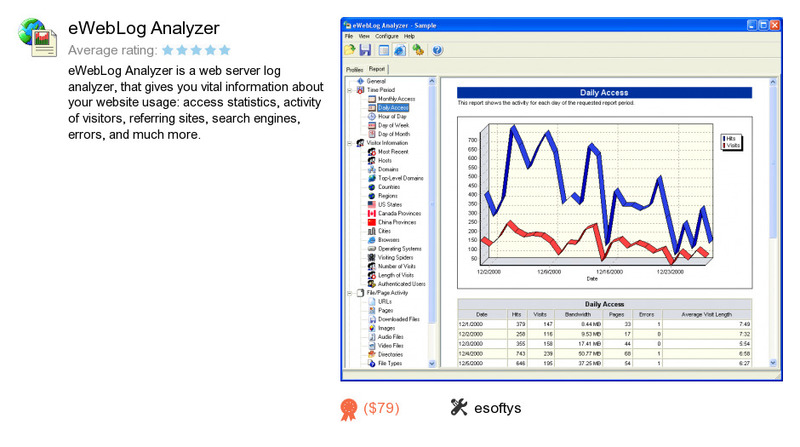 EWebLog Analyzer is a program developed by esoftys. We know of version 2.3. Version 2.30 is available for free download at our site. EWebLog Analyzer installation package has a size of 2,573,069 bytes. It works with the following extensions: wla.